There is nothing more inspiring than watching a truly great talent manifest their magic at the highest level. When I was a young man I had the honor of watching Michael Jordan. Each time you watched Michael there was the potential that something other worldly would occur. When it did it was spectacular. Since Michael’s retirement the closest thing we have had to that level of greatness in sports was Tiger Woods. In his prime he was executing at a level golf had never seen. Football is different than both of those sports because it is very difficult for one player to have such a profound impact on the game. While there have been spectacular athletes, no one has dominated the game and their position for as long as Tom Brady. He is without a doubt the greatest quarterback that has ever played the sport, but he may be the greatest player to ever play the sport and there is an argument to be made for him being the greatest athlete of our generation. 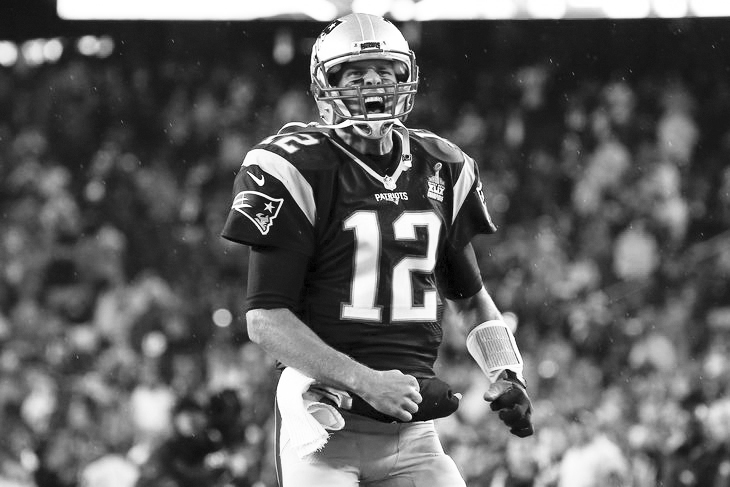 Every time Tom Brady steps on the field, no matter the opponent or the score, his team has a chance to prevail. The measure of true greatness is whether you can make everyone around you better. Tom combines all the aspects of what it means to be great from preparation to leadership to execution to mental and emotional control. Tom Brady is a special talent, enjoy hime while he is here because we will never experience someone exactly like him again.